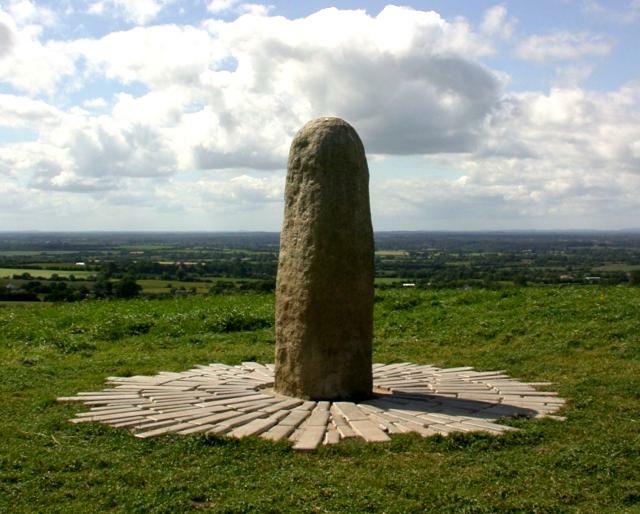 Lia Fáil (Irish pronunciation: [ˌl̠ʲiə ˈfɑːl̠ʲ], meaning Stone of Destiny), is a long stone on the Hill of Tara in County Meath, Ireland, which served as the coronation stone for the High Kings of Ireland. It is also known as the Coronation Stone of Tara. Irish Kings were coronated at this place until 500 AD. The Stone of Destiny looks similar to Shiva Lingam and is estimated to be atleast 5500 years old. 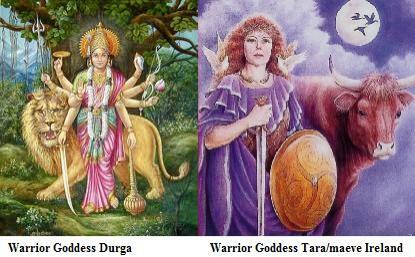 Irish used to worship Tara Goddess in ancient days. 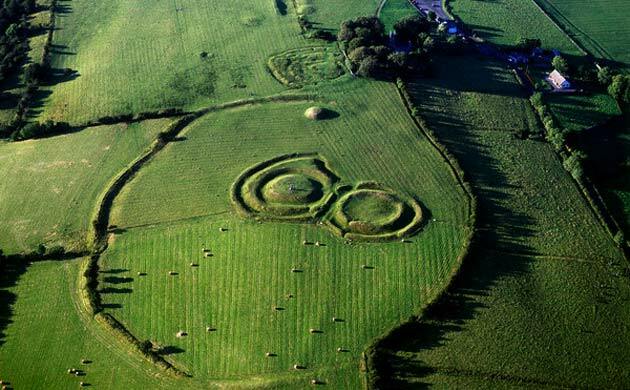 A HUGE temple, once surrounded by about 300 huge posts made from an entire oak forest, has been discovered directly beneath the Hill of Tara in Co Meath. What archaeologists discovered at the crown of the hill was a huge, oval-shaped monument measuring about 170 metres at its widest point. Around it are 300 post holes measuring two metres wide, indicating a massive human effort involved in the construction. It is estimated to be built between 2300-2500 BC. The earliest monuments at Tara date from around 4000 BC. Close to 30 monuments had been recorded prior to the deployment of geophysical survey, which has greatly aided the research process and facilitated the discovery of approximately 100 additional monuments. Irish have worshipped Tara (Maeve) goddess since ages and she is also featured in ancient Scandinavia, ancient Polynesia, ancient Rome, with the ancient Druids, and in ancient native America. Finland : An ancient legend speaks of Tar, the Women of Wisdom. South America : Indigenous tribe in the jungle call to their goddess, Tarahumara. Native American : Cheyenne people tell of a Star Woman who fell from the heavens to the Earth. She sent her people to mate with the more primitive inhabitants of Earth, thereby giving them the capacity for wisdom. The stone of destiny is believed to have magical powers but has been attacked and vandalized multiple times in recent past.